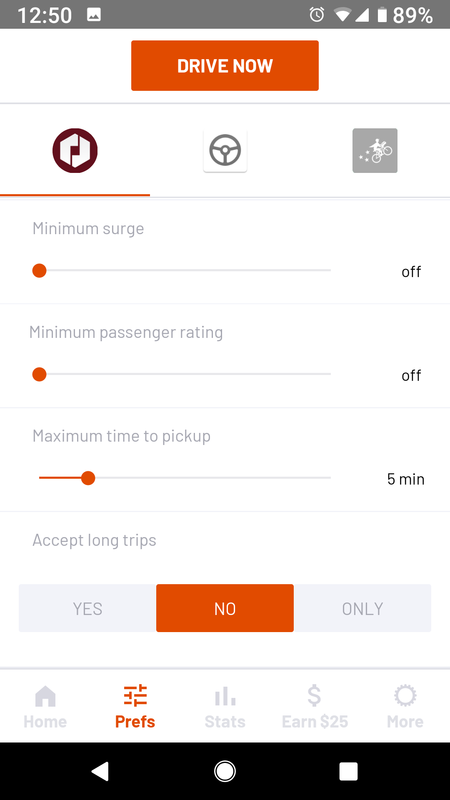 The options for the long trip filter are YES, NO and ONLY. 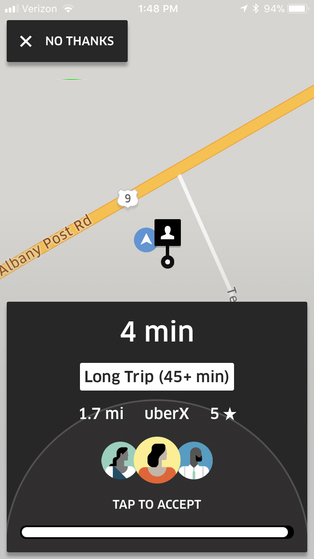 - If you set YES Mystro will auto-accept long trips. - If you set NO Mystro will filter out that ride request and show you a Trip Filtered -- Long Trip dialogue. You will then be able to accept this trip by tapping the screen. - If you set ONLY Mystro will filter out all trips that are not long trips and auto accept only long trips. 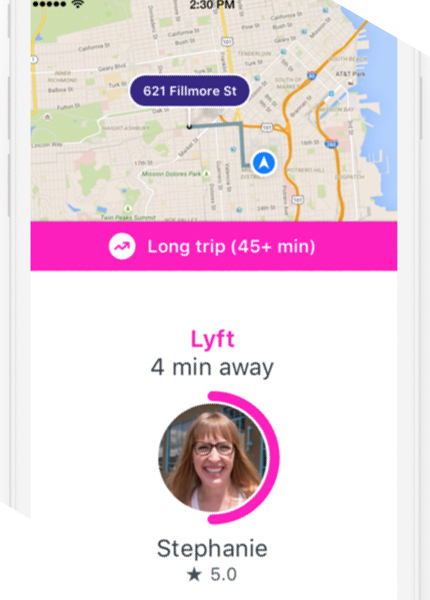 A long trip is determined by the rideshare app -- the Uber or Lyft ride request will say long trip, indicating that the trip will be longer than 45 minutes. See screenshots below for examples. Note that Postmates does not send long trips.